BROMSGROVE student Tom Jones who tragically drowned in the River Severn was ‘more than likely’ answering a mystery cry for help, an inquest has heard. Tom Jones’s body was found in the river on September 28 last year nine days after he went missing in the early hours of September 19. The 18-year-old from Bromsgrove had only begun his studies at the University of Worcester three days before he went missing and the county’s senior coroner Geraint Williams accepted police claims a shout for help was heard moments before the teenager disappeared from view on CCTV cameras. Mr Williams addressed Tom’s parents Ian and Vicki Jones and revealed the results of a post-mortem from Home Office pathologist Dr Charlotte Randall which showed the teenager hadn’t suffered any medical problems before he died and that no-one else had been involved in his death. Dr Randall recorded the cause of death as drowning and said Tom had roughly the same amount of alcohol in his system as someone twice over the drink drive limit. A further toxicology report found the 18-year-old had an ‘extremely low concentration’ of cocaine in his system but the level was consistent with being around someone smoking the drug. 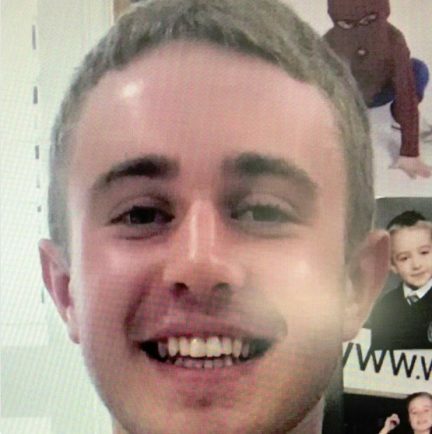 Yesterday’s (Tuesday) inquest heard evidence from PC Chris Buffery who spoke about the last movements of the 18-year-old on the night he went missing. After being seen on Angel Street and in McDonalds, Tom was spotted outside Velvet where he took a Snapchat ‘selfie’ before crossing the bridge from Crowngate Shopping Centre to the Hive. He then headed towards Croft Road and took a further ‘selfie’ near Worcester Racecourse before he crossed Sabrina Bridge and walked down Hylton Road. PC Buffery told the court Tom was picked up on CCTV cameras at BBC Hereford and Worcester’s base and those at the neighbouring building but not by a further CCTV camera 100 metres further up the road. He confirmed the last update on Tom’s phone was a TripAdvisor notification at 3.52am and PC Buffery said police had two ‘working hypotheses’ about how the teenager came to be in the river. The first was Tom went down the bank to urinate while the second focused on a mysterious call for help, heard on CCTV audio. “Perhaps Tom heard that shout and has gone to the bank to see if anyone was in need of assistance and has become a person in need himself,” PC Buffery said. Mr Williams was visibly moved when shown a picture of teenager but told the court he had no evidence to record a verdict of accidental death according to the law. Having heard about Tom’s character, Mr Williams said he favoured the notion the teenager went to help after hearing the shout. Recording an open verdict ‘with great regret’, he said: “This will never go away for you but it gets better to live with. “I know there is nothing I can say that make this any better but please accept my condolences,” he added. Following the inquest, Tom’s grieving parents Ian and Vicki Jones said they accepted the coroner’s verdict and thanked the community for their support. “The past few months have been unbearably difficult to try to come to terms with life without Tom and we very much appreciate the overwhelming support and respect from all involved during this time. Det Insp Tony Garner, who led the missing person investigation said: “Tom’s death has affected the community and all of the officers involved in the case deeply. Today was understandably an emotional day for Tom’s family and our sympathies remain with his family and friends.